Troop-carrying helicopter Mi-26 seen at the MAKS-2009 air show in Zhukovsky. 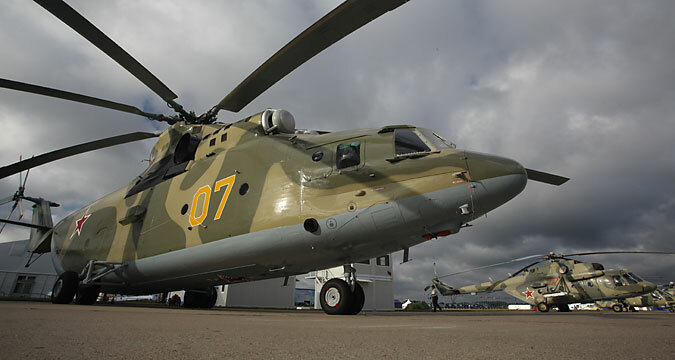 Russia’s state technologies corporation Rostec and China's Avicopter are looking at finalizing an agreement on the joint development of a heavy-lift helicopter by mid-2016, a senior Rostec official told Sputnik News. “We can say that both sides have aspirations to reach the signing of the contractual obligations and the intergovernmental agreement by the middle of next year,” Dmitriy Shugaev, Deputy Chief Executive of Rostec’s international division told the news agency. The helicopter would have a maximum take-off weight of 38.2 tons.